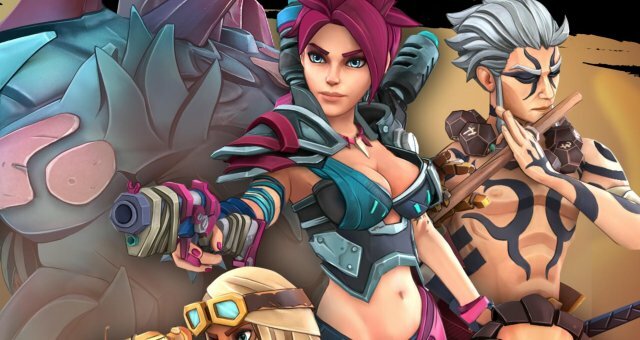 In this guide I want everyone to help to have fun in this great game. I will give you informations about game mechanics and what you should do before going into a PvP game. To prove that I know what I do: I am am Rank one player and atm I am at Place one in Ladder. The first thing I have to tell to every newcomer: The tutorial is good but you dont learn everything throug the tutorial. Try to play against the AI and learn the basics of the game and how champions work. If you have a friend starting the game with you play some friend games against him. If you start a game you have the opportunity to Deploy one of your choosen characters. You are only able to deploy one per turn. In most cases its better to get all four champions in the first 6 turns on the board. When you deploy a character you are able move with him the same turn you deployed him!!! If you move. And you always should move then there are two opportunities to move. The first one is to run. If you run you move further the the solide line and inbetween the dashed line. After you run you wont be able to attack! If there is no (good) attack you should always run. Running is better then doing nothing. The second one is to walk. If you walk you move in the solide line. After you walked you are able to attack! After you walked you always should attack. Even if there is no possible target to hit. Probably you will hit someone randomly walks in. 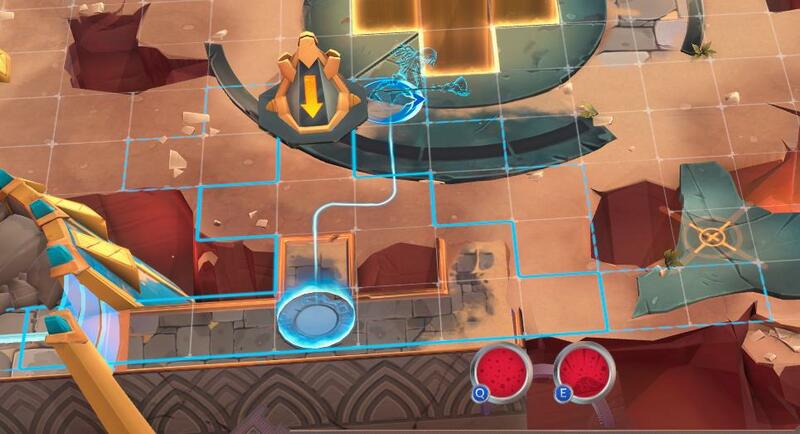 And there is the clue why you always should move: If stay at a place and attack the enemie has more turns to set up around your line-up and normally an attacker will never move into your attack but he probably will move into your attack if you walk around your target before attacking. Some characters are related to the way the are facing (like Naima, Angor,..) I will tell you in a later point what could help you there. After we looked at movement we have to look at Initative. Every character has a given initiatve. Because newcomer and even veteran players not always remember how many initative a character has there is a information in the hud that helps you there. 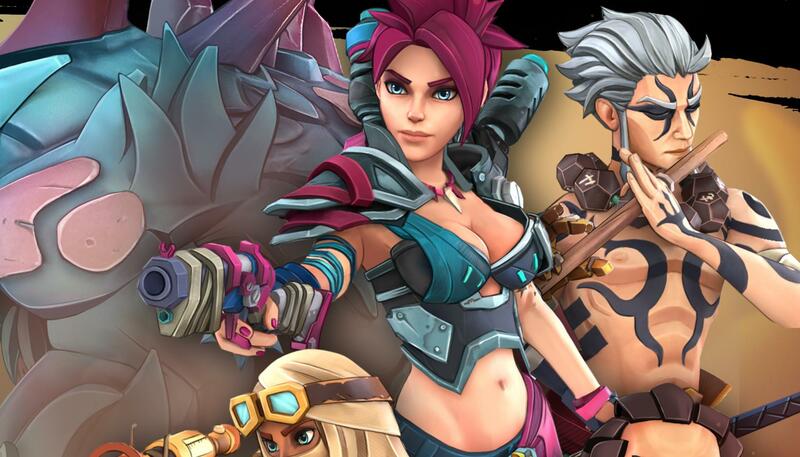 Its on the top of the screen and basicly the character in the front is the character with more initiatve. If there are two characters with the same initative the Golden Ring around the done butten decides who has more initative in a draw!! Now we come to the real interesting stuff. In Insida we want kill the enemies champions! This makes the game just easier. For this goal we have two phases. The first phase is the Tactical phase. In this phase you choose which champion you want to move and if possible attack. Remember you only can move one champion per turn!! The second phase is the Resolution Mode. In this phase you will see the outcome of what you did. But the resolution phase has more comlexitiy than it sounds like. In this phase there are three different actions. The first action is the move action. There yours and the enemies choosen character will move. The move action follows the initative rules. 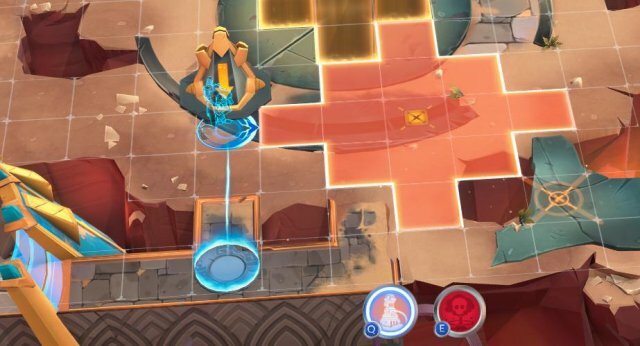 This way it can happen that if two characters move to the same tile or one character moving to a tile in the other characters way that thier movement get blocked and the character stands on the field where he got blocked. The second action is the attack action. In this action the choosen characters will attack while following the initative rule. 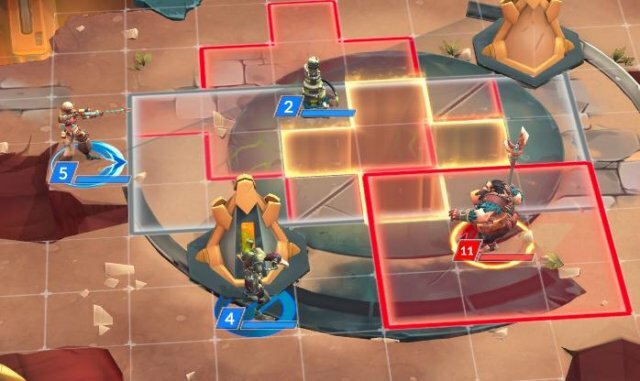 If a character get blocked by his movement he will only attack if he is still in range of his targeted tile!! The third action is the passive action. There are all passive abilities happens. They follow the initiative rules! A character will only use his passive if he have not moved or attacked and if no one stuned or displaced them. If you have channel abilities they will also happend in the passive turn in following turn after you used it. Some passives are damage passives and some are utility passives!! 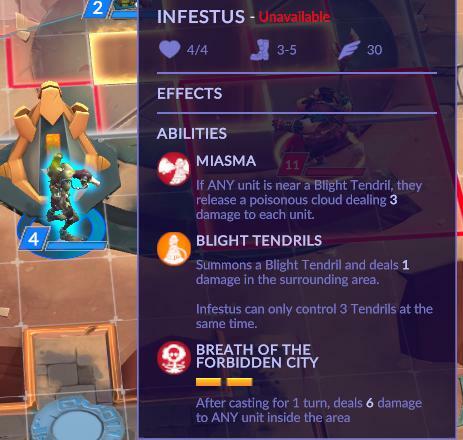 If passives do damage there is a highlite if you move them. If the champions are related to position you will see it there too. If you want to know where passives happens press SHIFT. You will see a pattern. Every red tile is a tile where an champion does damage! Green Tile are good for you and Grey Tiles have no effekt to you. Because killing champions is a important aspect and because we are in a video game there are Respawns. Respawns work the same way like Deploys work. After one of your champions die you have to wait two turns before you are able to respawn him. Dont forget to move after respawn!! The Main Goal of the game is to destroy the enemies base. To do so you have to move into the base. In every base you have three platforms. If you walk or stay on one of these you are able to press R or klick the illustration of the ability and destroy the base to win the game. But if you want to capture the enemy base you first have tear down at least one of the enemies gates. Is a gate broken the platform conected to the gate will open and you are able to finish at this platform. But only at this particular platform. The further you destroy the gates the more oppoortunities you have to win the game. You are not able to move or damage through an enemies base gate!! Every gate has three life. 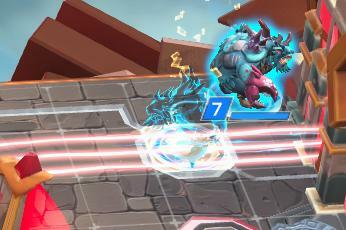 If one champion gets Respawned (not Deployed) one gate gets one damage. If the cross is captured one gate will get three damage. If a gate only has one life the damage is split and one gate gets one damage and an other one gets two damage. The order the gates get damaged is that always the gate on top/bottom of the map falls first. So for the left side its the lowest gate and for the right side its the gate at the top. After they are destroyed the middle and then the last gate gets destroyed. There are two objectives on the map. The first objective is the mentioned cross. 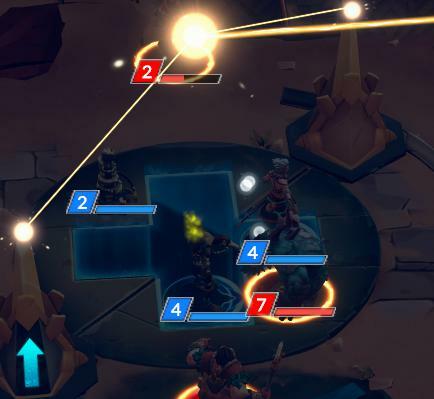 If you hold the cross for three turn in a row with no enemy standing on the cross a cannon will fire and deal 3 damage to enemy gates. If there are champions from you and your enemy on the cross the three turns counter will be hold up until there are only champions from one player on the cross. After the cannon has shot there is a three turn break before the cross is active again. Ultimates and energy only help you killing people but wont give you direct goal damage!! If an character is able to use his ult you will see on an ring around the champion. If you follow my guide and have fun at the game there will be the state where you are able to win against everyone. I am place one atm like I tould earlyer but I still strugle against other players at some times. This game is really about concentration. If you have a good concentraition and predict the enemies move good no one will ever beat you!